Designated in 1836 as Wisconsin Territory’s “Town Nine,” the area that became Germantown was the oldest settlement in WASHINGTON COUNTY. Following the removal of the area’s native POTAWATOMI people in the 1830s, speculator Anthony Wiesner and pioneer Levi Ostrander became the settlement’s first white residents. GERMAN and IRISH immigrants and Yankee migrants dominated this early settlement period, purchasing all available land parcels by 1842. By the time Wisconsin gained statehood in 1848, Germantown had established an agricultural economy that defined the village for the next century. Today’s Village of Germantown includes seven hamlets: Dheinsville, South Germantown, Rockfield, Goldenthal (Goldendale), Willow Creek, Kuhberg, and Meeker Hill. The Fond du Lac footpath (now Highway 145) bisected the Dheinsville community, Germantown’s first commercial district. Anchored by the Christ Evangelical Church founded by Philip Dhein in 1842, Dheinsville boasted the state’s first mutual insurance company, Germantown Farmers Mutual, as well as a general store, post office, tavern, and dance hall that served the families of local farmers and artisans. The community’s skilled craftsmen included blacksmiths, wagon-makers, and cobblers. Most of the Town of Germantown formally incorporated as a village in 1927. The village defensively annexed the small hamlets in 1963-64 after MILWAUKEE COUNTY surprised Germantown residents by annexing a small section of nearby unincorporated land. This process excluded only a small portion of the Town of Germantown. Historically, agricultural production in Germantown revolved around dairy farming and the manufacturing of milk products like butter and cheese. John P. Gehl and his family established a butter renovating plant in the 1890s, as well as a condensed milk company in 1915 that remains in business today. Small cheese manufactories, wheat farms, and potato fields marked Germantown’s rural landscape. Agricultural production in the village increased with the introduction of steam-powered threshers and the expansion of the Milwaukee Road rail line following the Civil War, which enabled easier transport of goods to the Milwaukee market. Starting in the 1870s, mineral extraction rivaled dairy’s significance to Germantown’s economy. Limestone quarrying provided blue-collar jobs at three different Germantown locations until the 1930s. Fresh timber powered the Cream City Lime Company’s kilns on Main Street, adjacent to the Walterlin Meat Market. Other commercial establishments included general stores, harness shops, hardware stores, farm supply shops, lumberyards, a canning company, and auto service centers. 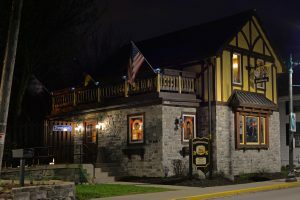 Germantown residents also participated in Wisconsin’s BREWING tradition during the late nineteenth and early twentieth centuries, opening the Vogel, Regenfuss, and Staats breweries. The village continues to celebrate its German brewing heritage at its annual Oktoberfest. As the Milwaukee metropolitan area suburbanized during the 1950s and 1960s, Germantown’s rural, middle-to-upper class population expanded. In 1970, nearly 7,000 residents lived in the village; that number almost doubled by 1990 and increased more than 4,500 by 2000. 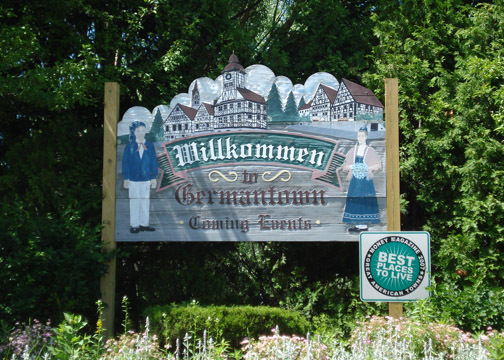 Located only twenty minutes from Milwaukee by car, Germantown today houses approximately 20,000 people, working in diverse economic sectors like manufacturing, finance, insurance, healthcare, construction, retail, education, and other professional services. Attractions at the historic Dheinsville settlement also contribute to the local economy. The German Glass and Gift shop, Valentine Wolf Haus Museum, and Bast Bell Museum, which houses over five thousand unique bells, draw tourists from across southeast Wisconsin. ^ Germantown Area Chamber of Commerce, Germantown, Wisconsin Area, 2010-2011 (Germantown, WI: Germantown Area Chamber of Commerce, 2010). ^ Irene Blau, History of Germantown, Wisconsin (Milwaukee: Midland Video Productions, 2008), DVD. ^ Irene Blau, William Gay, and Germantown Historical Society, Germantown, The Early Years, 1838-1915 (Germantown, WI: Germantown Historical Society, 2008), 7. ^ Blau, Gay, and Germantown Historical Society, Germantown, 9-11, 51. ^ Blau, Gay, and Germantown Historical Society, Germantown, 9. ^ Blau, History of Germantown; Southeastern Wisconsin Regional Planning Commission, The Population of Southeastern Wisconsin, Technical Report No. 11 (5th Edition) (Southeastern Wisconsin Regional Planning Commission: Waukesha, WI, 2013), p. 86, accessed April 7, 2016. ^ Blau, Gay, and Germantown Historical Society, Germantown, 23 and 54. ^ Blau, Gay, and Germantown Historical Society, Germantown, 23-27, and 11. ^ Blau, Gay, and Germantown Historical Society, Germantown, 40-43. ^ Blau, Gay, and Germantown Historical Society, Germantown, 51. ^ Blau, Gay, and Germantown Historical Society, Germantown, 57-60. ^ Germantown Historical Society, “Oktoberfest,” accessed March 10, 2013. ^ City-Data, “Germantown, Wisconsin,” accessed March 10, 2013. ^ Germantown TourBook, accessed April 7, 2016. ^ Germantown Historical Society, “Attractions,” accessed March 10, 2013. 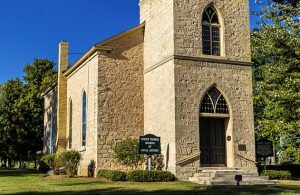 Blau, Irene, William Gay, and Germantown Historical Society. 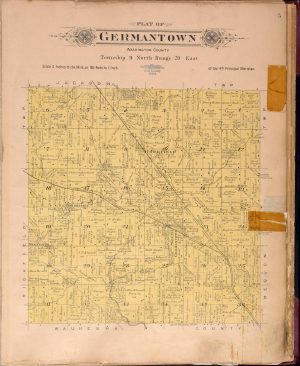 Germantown, The Early Years, 1838-1915. Germantown: Germantown Historical Society, 2008.